Here at Food and Drink Matters, we are proud to present CyberColloids Ltd as our most deserved Innovation Company of the Month profile in light of their outstanding research and development in hydrocolloids. CyberColloids was first set up back in 2002 and founded by Ross Campbell, an experienced professional with a long history in research, production and sciences. Having previously worked as a Unilever manager, Ross left to set up his company with the help of a small, skilled team of experts. 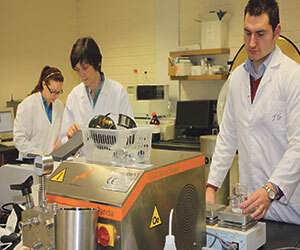 Based in Ireland, but operating across the UK, China, US and India, CyberColloids specialise in research and development, able to recommend the best suited products to a range of different sectors, including the best and most viable alternatives to fat, sugar and salt for the food and beverage industry. 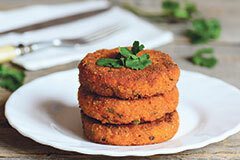 Their expertise can extend to dairy, yoghurt, meat, sauces and dressings, savoury and frozen foods. 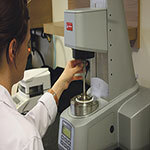 They are able to provide a range of food related services, including knowing where new and innovative ingredients are best used, comparing ingredients, providing cost-effective and leading technology such as homogenisers, freeze dryers, autoclaves, rheometers and more, developing new products and systems, reducing the cost of new technology, improving existing products and helping clients with their specific food needs. CyberColloids stands apart from the industry due to their continual pursuit of technological advancements. With Ross boasting over 40 years of experience, and with the team having decades of experience in business, they are not like the usual contractors. With years of real experience in the industry, they know exactly what their clients are looking for, and are aware of cost, time, logistics, and above all commercial viability. If you would like to get in contact with CyberColloids then be sure to find the contact details below, or feel free to check out the website for more information. This entry was posted in Company of the Month and tagged innovation. Bookmark the permalink.